Estonia is that part of northwestern Europe, the uppermost of the Baltic states. The USSR made it a part of their empire in 1940 and it regained its independence in 1991. So much for the history lesson! It also had its share of really fine composers. I've rediscovered the Piano Concerto No. 1 by Artur Lemba (1885-1963), composed in 1910, so its right on the heels of the Romantic era. I have been so overwhelmed with the beauty of the piece, that I played the almost 25-minute piece three times in one evening. The first movement is so rich in melody that one wonders why this work is not performed more frequently. It reminds me of the music of Sergei Rachmaninoff in many ways, but there's it own hugely individual imprint on the work. The second movement is ravishing in its quietude and mystery, and the last is as compelling as the first in this melodic richness. The orchestral textures are one of the best complements I've found in an "unknown" piano concerto. Performance of the work requires a pianist of the first rank technically as well. All this can be found on a Finlandia CD , issued in 1997. Finlandia is now a part of the Warner Music Group. It appears as though the disc is unavailable in the USA. Lemba's works on record are not many. Chandos has issued a symphony (Neeme Jarvi, conductor) that's still in print. The other works on the disc include Eduard Tubin's (1905-1982) Concertino for Piano and Orchestra (composed 1945) and Lepo Sumera's (1950-2000) shockingly delightful Piano Concerto (1987/revised 1997), all performed by Lauri Väinmaa. The big news is the pianist in these performances, Lauri Väinmaa. Here's a top-drawer pianist, born in 1961, who studied at the Estonian Academy of Music, and also with Mikhail Pletnev at the Moscow Conservatory, and also at the Royal College of Music in London. He has won competitions in England, America and other countries. He is partnered in this outstanding disc by the Estonian National Symphony Orchestra under Arvo Volmer. 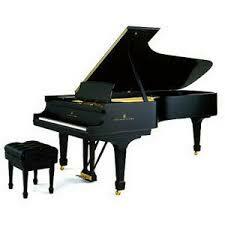 Incidentally, the Steinway D piano used is one of the best instruments I've heard on recordings coming out of Europe. If you can find this disc—used or otherwise—GRAB IT! You will thank me for some incredibly beautiful music and performing artistry. Last edited by Lance on Fri May 26, 2006 10:16 am, edited 1 time in total. Thanks for the recommendation, Lance. The CD is available at MDT. I had this on a Melodiya vinyl LP some 20 odd years ago. I agree, it is outstandingly beautiful notwithstanding its close similarity to Rachmaninov`s 2nd PC. I see that it is available on an Estonian CD, I shall buy it for old times sake. Yes, as noted, the performance is on the Finlandia label as No. 20684. There's also a Lemba Symphony in C# Minor, composed in 1908. That's on the Chandos label and is in a 2-CD collection priced as a "twofer," all Estonian music conducted by Neeme Jarvi. I would love to know if there have ever been any other LPs or CDs issued of Lemba's music. I would like to broadcast both these performances. The symphony is around 45 or 48 minutes long as I recall. If anyone has knowledge of ANY other Lemba music, please advise. and type "Lemba" in the "composer" space. Yes, I checked that and saw that the same performance is apprently available on two different labels. You can't go wrong either way, I suspect.